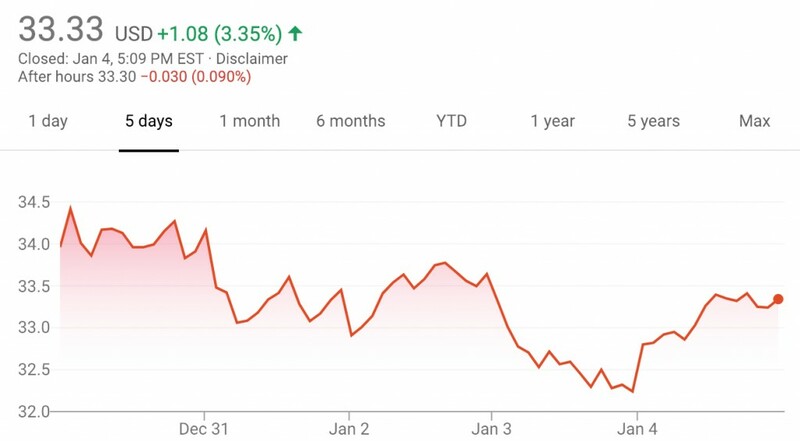 The value of GM stock shed 2 percent or $0.67 during the December 31st, 2018 and January 4th, 2019 timeframe, closing the week at $33.33 per share. 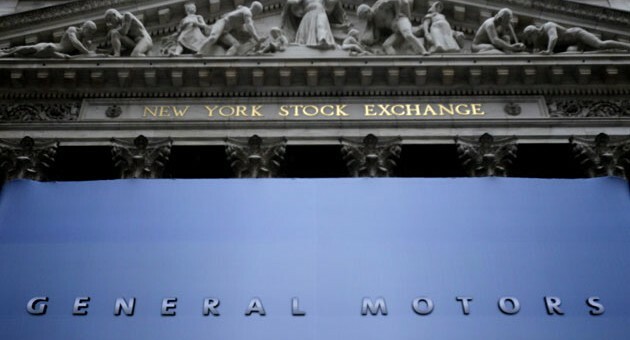 Overall, it wasn’t a great week for GM shareholders, considering the decrease in value. By comparison, Fiat Chrysler Automobiles and Ford shares experienced slight growth this week, with Fiat Chrysler being a penny shy of the $15 threshold and Ford shares crossing the $8 threshold. Over the last few years, GM has taken significant steps to increase its share price, including exiting markets where it can’t figure out how to turn a profit (such as Europe, South Africa and India), closing plants in various parts of the world, divesting loss-making divisions (such as Opel-Vauxhall), making adjustments to its business model in order to prioritize profit over market share, while investing heavily into new-age mobility ventures such as electric vehicles and autonomous driving technologies. Despite these notable moves, the $33.33 per share closing price of GM stock is nearly identical to the $33 per share value of the “New GM’s” Initial Public Offering (IPO) in November 2010 on the NYSE, a circumstance that has many investors frustrated. This is no surprise, as GM is on the retreat in almost every single market and now NA looks to take a huge loss in market share as the have ticked everyone in Canada/US. This will get worse before it gets better. Car sales dropped big time at GM, but of course GMA failed to report that. Francisco you left out probably the biggest avenue to attempt to boost share price—stock buybacks! GM spent billions to try to juice the valuation. Swings in the market are now the new norm. With the increase of the market volume what used to be major changes are now just a moderate change. Companies will gain, lose and gain on a larger scale on a regular basis. Just like the last two days the market was down 600 but came back the next day 700. Even companies like Apple are going to see effects. They dropped but watch they will return and go higher in the near future again. GM is still looking for growth but they are still much better off than many others that hold larger debts and stock prices not even breaking $9 now. Put on the foil hat. It is 90 million not 100 billion. Go drink the GM Kool-Aid! You are not including GM Financial. What do you think they provide to GM? Consolidated debt of $184 Billion. Apple is not coming back short term! They suffer from an affliction GM does—pricing themselves out of the market!